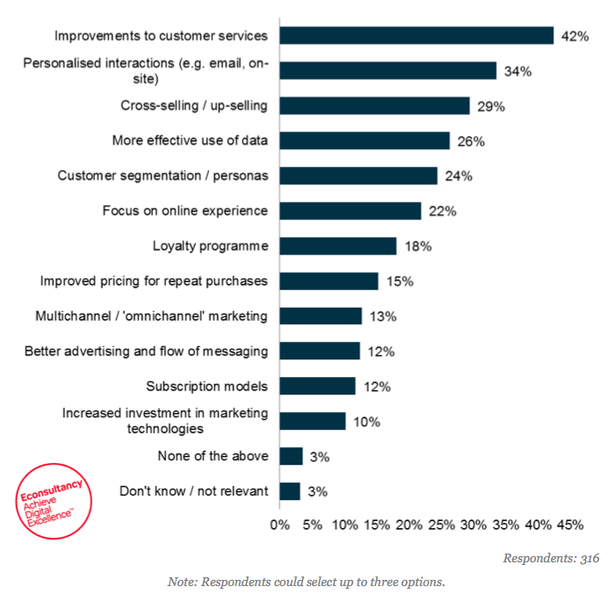 How are companies trying to increase customer lifetime value? Customer lifetime value matters, so how are companies attempting to improve retention rates? Our recent Customer Lifetime Value: Building Loyalty and Driving Revenue in the Digital Age report (produced with the help of Sitecore) has one answer: improving customer experience. 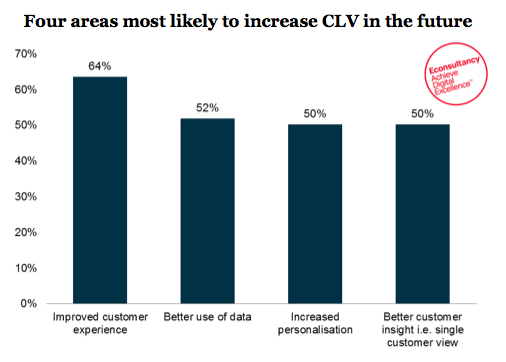 The report finds that 64% rate customer experience as the best tactic for improving CLV, followed by better use of data and personalistion. Just 42% of companies are able to measure CLV, but the majority do agree that the customer experience is key. 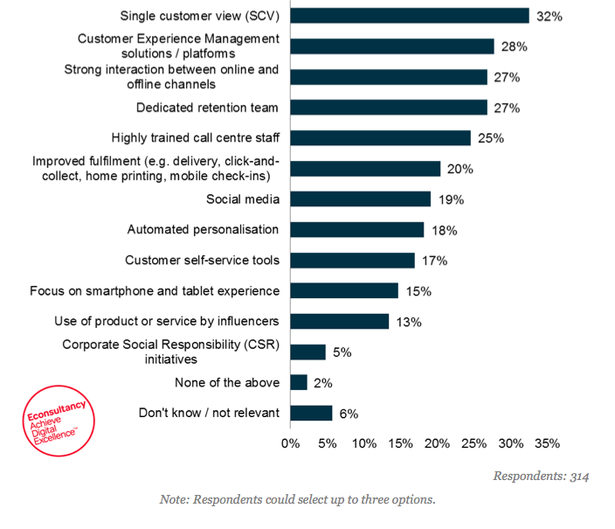 Improved customer experience (ultimately a combination of different touch points) is high on the executive agenda going forward, with 64% of company respondents and 58% of agency respondents focused on this as a priority, making it the most important strategy for increasing CLV in the future. The companies in our survey recognise the importance of treating customers well, so it’s no surprise that better customer service is top here. Personalised interactions are given equal prominence by agency respondents, both at 34%. Indeed, investing in customer services may prove to be the easier route for brands, stopping customers leaving, therefore increasing retention and reducing acquisition costs. B2B respondents are significantly more likely to identify ‘ongoing customer dialogue’ as one of the most effective tools to enhance CLV (32% for B2B compared to 20% for B2C).